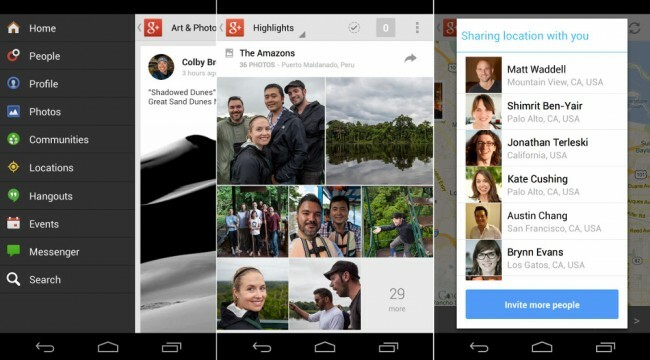 At Google I/O last week, the Google+ team unveiled the new web UI for their social sharing service along with a number of new features. We wondered at the time when all of this new goodness would arrive on Android – that time is now. The update for Android is being described as a “a brand new Android app.” So this is somewhat of a new beast altogether, with new ways to explore content, “great” photo experiences, and location sharing with Circles. There is a lot in here, so let’s talk about it. With the new photo features, users are getting auto backups, auto highlight (top shots from your sets of photos), auto enhancing (subtle improvements to photos), and “Auto Awesome” (way to create “fun” new versions of pictures). When you upload photos to your G+ account, you can head into the Photos section to view these new Highlights, review Google’s enhancements, and check out the “awesome’d” pictures you have yet to see. The update also includes some of Snapseed’s photography tools. On a location front, there is now a dedicated tab for “Locations.” This new section allows you to see where you friends are on a map, so that you can places to meet up should a Hangout not be in the cards. You can turn off location sharing if you’d like. 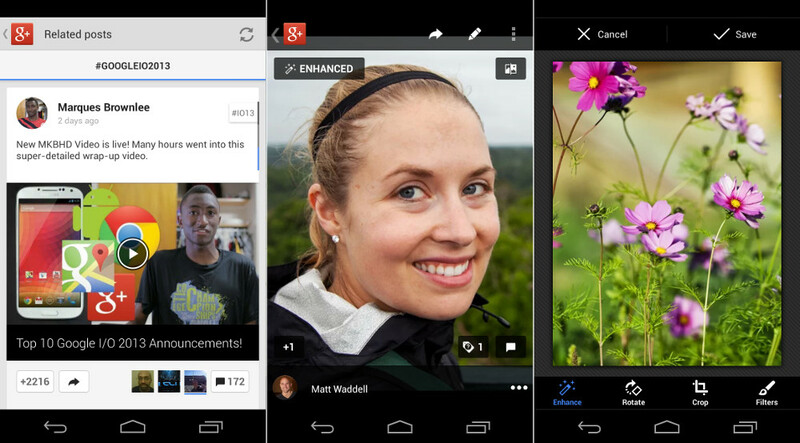 Last, we get the new card UI and exploring features we are seeing from the web version of G+. Tags are shown at the top right of posts, so that you can easily browse by topic. Notifications have been updated as well and are “nicer to look at and use,” plus profile fields can be edited on the go. It’s a big update, so head to the Play store and look for it. Update: The update is now live! If you aren’t seeing the update on your device, try this trick. *Note – The update doesn’t appear to be live yet.